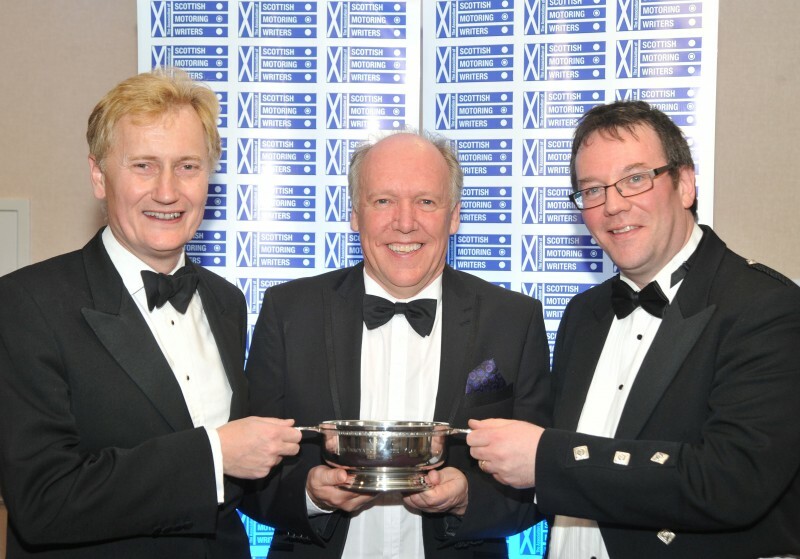 Concours of Elegance Director, James Brooks-Ward presented Jaguar Design Director, Ian Callum, with the award for Best Design and Innovation for the Jaguar XE at this year’s Scottish Car of the Year awards (SCOTY), held at St Andrews. Concours of Elegance’s sponsorship of the SCOTY awards is part of the event’s 2015 Scottish campaign, which culminates in the Concours of Elegance at Edinburgh’s Palace of Holyroodhouse from 4-6 September. Ever since its debut event in 2012, the Concours of Elegance has brought together a selection of the very finest cars from all over the world exclusively to the UK’s most picturesque Royal Venues: Windsor Castle in 2012, St James’s Palace in 2013 and Hampton Court Palace in 2014. With the gracious permission of Her Majesty the Queen, the 2015 Concours of Elegance will be held at The Sovereign’s official residence in Scotland, The Palace of Holyroodhouse. With hundreds of the rarest vehicles – from the pioneering days of motoring, right up to the latest crop of hybrid hypercars – and the support of a number of luxury brands, the Concours of Elegance has established itself as a must-see event for the world’s motoring enthusiasts. The 2015 Concours of Elegance at the Palace of Holyroodhouse will be open to the public on Saturday 5 September and Sunday 6 September, with entry tickets and hospitality available to purchase strictly in advance. Advance tickets will be available to purchase at the Concours of Elegance website (www.concoursofelegance.co.uk) shortly.